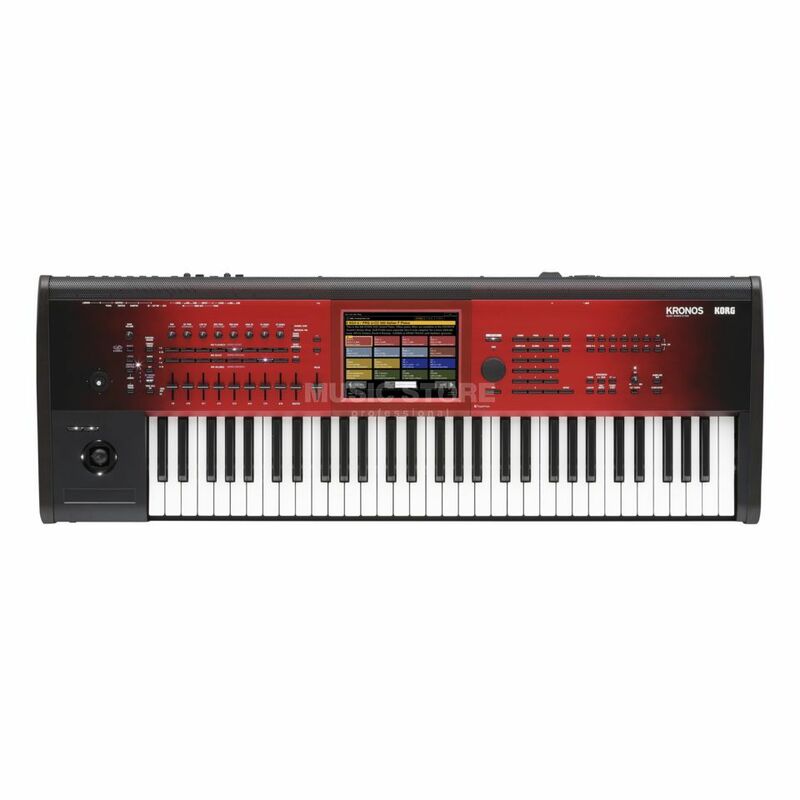 The Kronos SE 61 from Korg is a workstation and synthesizer combination with a lightweight 61-key keyboard. This powerful instrument is equally suited for studio and stage musicians who don't want to miss anything in their work. With a new surface and new concert grand sound, the limited Special Edition of the KRONOS is a pleasure for the eye and ear. As a special bonus, a "KApro Showcase" with carefully selected sounds from the manufacturer KApro is pre-installed, which has already produced over 100 KRONOS Sound Libraries. The chic new colour finish and unmistakable sound of the KRONOS make the difference on any stage.